Mushrooms cook extremely well in the microwave. 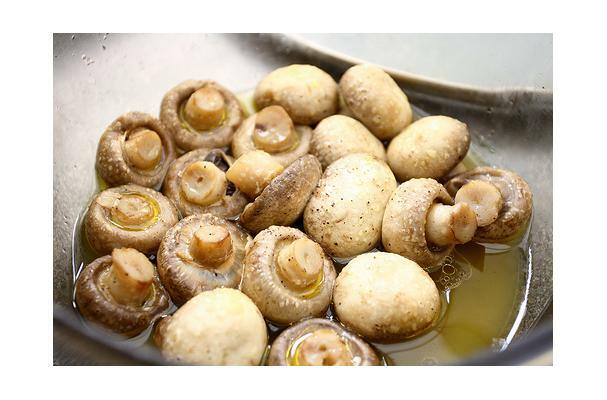 Simply clean them and cook as follows: Put 8 ounces thickly sliced mushrooms in a microwaveable bowl; cover and cook on HIGH (100%%) power for two to three minutes, stirring once. Once you nuke the fungi, drain the water, add a splash of soy sauce, a few drops of sriracha hot sauce, and half a tablespoon of fresh or processed minced garlic. Satisfaction guaranteed!